The leaders are out of Winterlake Lodge this morning. 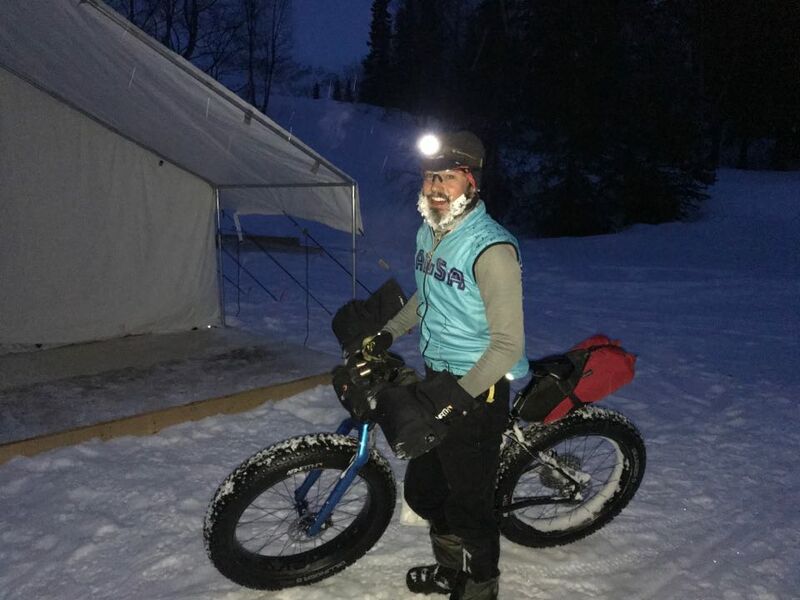 Neil Beltchenko from Colorado is in the lead this morning, while Clinton Hodges III, Jay Petervary and Jussi Karjalainen from Finland are still resting at Winterlake Lodge this morning. It is snowing this morning in Southcentral Alaska. Snow likely in the morning, then scattered snow showers in the afternoon. Snow accumulation up to 5 inches. Highs 15 to 25. Light winds. Mostly cloudy with isolated snow showers in the evening, then partly cloudy after midnight. Lows zero to 5 below. West wind 10 to 20 mph with gusts to 30 mph.